Social Media and Extension of Due Date- Do they played any role? Social Media and Extension of Due Date- Do they played any role? Social Media and Extension of Due Date- Do they played any role? Social Media is a term which is very frequently used nowadays and been considered as a powerful weapon, which has the capacity to bring changes. In this Article I have discussed in a brief about Social Media and its role in extension of Due Date of Income Tax Returns from 31.10.2015 in few states to 31.10.2015 across the country. Social media are computer-mediated tools that allow people to create, share or exchange information, ideas, and pictures/videos in virtual communities and networks and it depends on mobile and web-based technologies to create highly interactive platforms through which individuals and communities share, co-create, discuss, and modify user-generated content. In India Facebook , Whatsapp and Twitter are three most popular social media platforms and are widely used by people of India. WhatsApp is an instant messaging app for smartphones that operates under a subscription business model. The proprietary, cross-platform app uses the Internet to send text messages, images, video, user location and audio media messages. Recently CBDT has extended the due date for Filing of Income Tax Return (ITR) and Tax Audit Report (TAR) to 31.10.2015 on 30.09.2015 in the state of Punjab & Haryana , Gujarat and Territory of Chandigarh while keeping the due dates as 30.09.2015 for all other states and union territories. CBDTs such move has drawn a lots of criticism from CA Community, Tax Payers , Businessman’s, Trade Associations and from General People of the Country. Those affected by the CBDTs move of extending due date arbitrarily for few states has not gone well with the residents of the Country and they criticised the move and flooded the Facebook and Twitter wall of those who were responsible for such mess or who failed to take appropriate step at appropriate time. iv. ICAI President for his failure to take any bold step to ensure that government accept their reasonable demand. v. All the Members of Regional and Central Council of Institute of Chartered Accountants of India for their failure to get the date extended and for involving in competition for taking the credit for extension of due date without making any effort for the same. Now question which arises here is do CBDT was not aware on 30.09.2015 that they are creating discrimination by allowing extension to few sates of the country and what made them realise in few hours that they are not left with Much time to file SLP in Supreme Court? Was it a Pressure from Social Media or was it the fear that non extending the extension to the whole India may amount to contempt of Court as Court has not restricted the extension to any particular Jurisdiction? CA Sanjiv Agarwal from Jaipur said that Social Media has not played any significant role but it was more of pressure coming from judgments of various high courts. CA Satish Sarda from Nagpur said that there is no doubt Social Media played a great role in Extension. Actually speaking it exposed the CBDT’s Antisocial role in harassing the Taxpayers and CA fraternity. Social Media’s role can be summarized in following points: 1. Online communication of status of appeals filed in different courts by different persons. 2. Uniting the stakeholders across the country. 3. Mobilising mass opinion and reaction resulting in putting political pressure. 4.Informing the masses about CBDT’s delay in bringing the ITR forms thus exposing their misdeeds. 5. Informing about various court decisions instantly. And the height of use of social media was visible when the Revenue Secretary without waiting for the notification took the use of Twitter. CA Bimal Jain from Delhi Said that Social media has played important role for raising a strong demand, especially from Chartered Accountants for extending the due date for filing income tax returns of assessee, who are mandatorily required to get their accounts audited. Various groups on WhatsApp, Social Networking Websites, and Professional Forums etc., from different parts of the Country raised the problems faced by assessee & Trade and submitted numerous representations to the CBDT for extension of due date and such social groups played an important role undoubtedly to draw the attention of bureaucracy including attention of the Finance Minister and the Prime Minister. CA Umesh Sharma from Aurangabad commented that Social media has played very important role as Whatsapp, Facebook, Twitter have reach throughout the India and has Provided those effected a platform to act or express their opinions. Further IAS, IRS, Tax and Government authorities who also have presence on Social Media has received numerous messages for demand for extension and same has surely affected their decision as they realise the anger of the people due to non extension of due date. CA Sanjeev Lalan from Mumbai said that he thinks Social media played a very limited role and its the serious observations by Courts were more pursuasive in this whole avoidable controversy. He further said that There needs to be more accountability enforcement in so far as administrative machinery is concerned. CA Nitesh More from Kolkata said on Power of Social Media and its role in extension of ITR and TAR due date that that for First Time in history, Govt used social media for extension news & for tendering apology to CA Fraternity which itself shown that Social Media has become very significant and relevant nowadays. CA Amresh Vashisht from Meerut has said that Definitely social media is the biggest tool in the hands of justice seekers now. Our court cases originated from the social media. Petitions, their fine points and strategy to move or withdrawal is because of social media interaction. The best part of social media is its speed. Last year, the spell of orders in favour of fraternity followed by this year verdicts clearly shows that we are uniting our efforts and force authorities to rectify the others decisions. This year the efforts of fraternity were smarter and matured. But this annual competition should come to an end and now I am hopeful that there shall not be another round of tussle on such issue next year. But we have to take precautions also as suggested by our Ex President CA Amarjit Chopra . I would like to share his FB post . “For the last few days I am indeed “impressed” with the smart operation of various Chambers of Commerce. Be it FICCI, CII or Assocham, none of their representatives uttered even a single word in the matter of extension of time for TAR and ITR. It is their members who are liable to obtain TAR and file ITR before the specified date failing which they would be liable to pay penalties and interest. We as CAs are appointed by them to perform Tax Audit and file their returns with no liability for penalties or interest in case they fail to get the same done within the specified date. But look at it who is fighting a pitched battle against Govt. for the extension of date, not the Chambers but we. We are using social media using all kind of language against the Govt., and industry does not even bother about the whole thing. Let us not be used by anyone. What happened today is most unfortunate. The Govt. could have been magnanimous and extended the date for all States particularly because by evening more than 90-95 percent of returns would have been filed. It would not have resulted in material non collection of revenue as well. Bharathi – It is central board of direct taxes? never i think its some state board of direct taxes. Samiinathan- CBDT Has Lowered The Image Of The Govt & Finance Minister. They Can Create A Separae Law For Each State. BJP Has Been Put In Bad Light Because Of A Few Officials And Made PC Better Than AJ. Rajenfra- Until today it was known that such and such law is applicable to whole of india except the sate of jammu & kashmir, but from today we have something which applies to whole of india except punjab, haryana, chandigarh & gujarat…….. making of the new era ??????????? 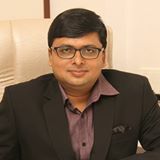 Shyam Lal Naik – A High Court judgment on a central law has pan India application, unless there are contrary judgment of jurisdictional High Court. The action on the part of CBDT is against the court’s verdict and is contempt of Court. It appears that the Government is looking at penalties etc to fill it’s coffers. It wishes to enrich itself at the cost of Citizens’ suffering. CA Hitesh – British Raj legacy well kept – Divide and Rule. Well done CBDT. Deserve one more ” Prime Minister’s award for excellence in Public Administration”. Year on year problem!!! CBDT is manned (womanned) by adamant officers. Never happend in the history. Is this the ease in doing business in India? Rajiv Sharma – This Act of CBDT is against the national interest where there notification demarcated the assessees on account of geographical parameters within India. Moreover it shows the dictator attitute of the CBDT towards the public at large and also sort of showing superior then the Hon’ble High Courts. Such acts of CBDT will tarnish the image and standing of the BJP Govt especially our worthy Prime Minister who has been continuously trying for the market to make in India. Advocate P N Rajan – In-equality, ends of justice do not meet as the extension applies only for certain states in India when the problem is faced by the entire public of India. CBDT is doing a commendable job in separating Indian states. Rangoonwala -CA– It Seems Persons Sitting At The Helm Of The Affairs At CBDT Are Interested In Harassing CA and Tax Paying Indians. Rajesh- Honestly speaking these guys at CBDT do not understand the Powers of Hon High Courts under A.226/227 (Writ Power). These writs are invoked by the High Court (Any High Court) in case the officials action is not as per law and questionable. These writs have pan India implications and CBDT cannot be choosy. Not only bosses of CBDT but their legal advisers should be sent to basic training. Our country deserve better people, they are making a la Gajndra Chauhan type case here at CBDT. I thought our FM was an intelligent fellow, sorry Jetliji, you have done us no proud. What we may Conclude is that extension by CBDT Authorities was mainly to Comply with the Instructions of Judicial Authorities but we can not undermine the Role of Social Media which also played a significant role in the process as for the first time we have seen ICAI Members so Active on Social Media to oppose the Unjust and arbitrary moves of CBDT. I hope that from next year onward CBDT will release Income Tax Return forms well in time in compliance with High Court directions, will act reasonably and will consider the genuine difficulties faced by Professionals in a positive manner. In my article although I have not discussed about the petitioners who have filed writ with various high courts across the country, as my Article has focused only on Extension of due date from few states to across the country but role of the petitioners and those who worked with them cannot be undermined and they deserve big applauds for the courageous action taken by them. social media or no social media, Sandeepji had done a commendable job in the hour of crisis, his updates were nothing less than a flicker, of a 24/7 news channel, professionalism at its very best. you were the only genuine and reliable source of information in our hour of crisis. i followed your updates till 01.15 am on 01.10.2015. and believe me your updates really helped me to complete my job around 11.56 pm. on 30.09.2015. when i filed my last TAR, hats of to you sandeepji. I would like to know who is really going to get benefit from time limit extension circular. 99% assesses already filed their returns by 30th September 2015. Firstly I would like to congratulate you that so nice article is written by you on a very different subject. This article is giving a different angle to thought. After the extension of due date, may be all are forget with the happiness but your this article will invoke them again and they have to be think that why the date was so extended ?. It is very necessary to find out the reason behind that for future. So that we can fight more efficiently against any wrong decisions by the Govt. authority. Really, You have sprayed light on this matter with a different view. To know the reason of defeat is very necessary but why we win it is also known. Whether Social Media played important Role or not, Tax Guru has played. The update provided by you (CA.Sandeep) is commendable and readers like us are watching Tax Guru for whole 2 days with excitements like watching / hearing election results. Timely update of different High Courts verdicts by mentioning the time of judgement is note worthy. Hats off to CA. Sandeep & his Tax Guru Team…. The bureaucrats do not understand the ground realities and the various problems of small business assesses . They should facilitate compliance with tax law as a simple procedure. The bureaucrats who are mostly from upper middle class do not understand the ground realities and the various problems of small business assesses . I would like to know the details of the Chartered Accountants who have filed writs in various courts and whether they are standing for council elections. I want to support them.